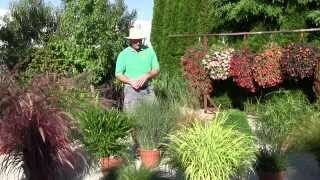 Our Ornamental Grasses include varieties such as Reed Grasses, Maiden Grasses, Blood Grass, and Hardy Pampas Grass. 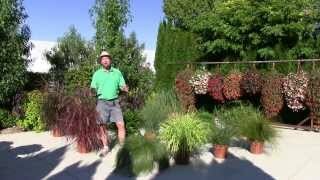 These can give your garden some great height and texture. The best choice for a fast growing grass would be Bamboo. Fargesia Dracecophala "Rufa" (Sunset Glow Bamboo) and Fargesia Scabrida (Asian Wonder Bamboo) are both solid zone 5 varieties that would do well here in the Okanagan. Bamboo are fast growing and make excellent living screens or hedges. Sunset Glow reaches 6-8 feet, while Asian Wonder reaches 12+ feet.